I just received a maxxyz compact with v 2.92 and I wanted to update it to the last firmware 3.60… while doing this process it’s installing windows 7, and that’s where the error comes in, i get the windows could not update the computers boot configuration. I’ve tried the online methods of disk part/clean and mbr/gpt… the issue still persist. 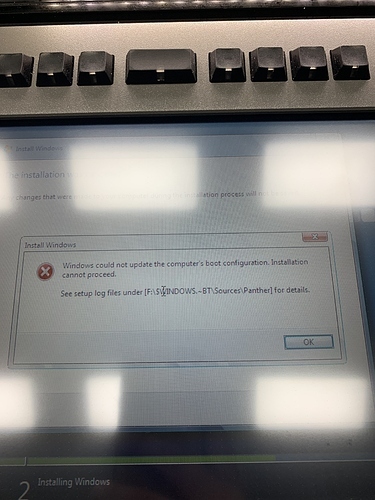 I can’t find any uefi or secure boot options to disable. Any ideas or suggestions I can try? Should I update the motherboard bios?